We have had a very wet spring. So much so that there were large mud puddles along our road that have held water for quite some time. There was an especially large one in our cul-de-sac. 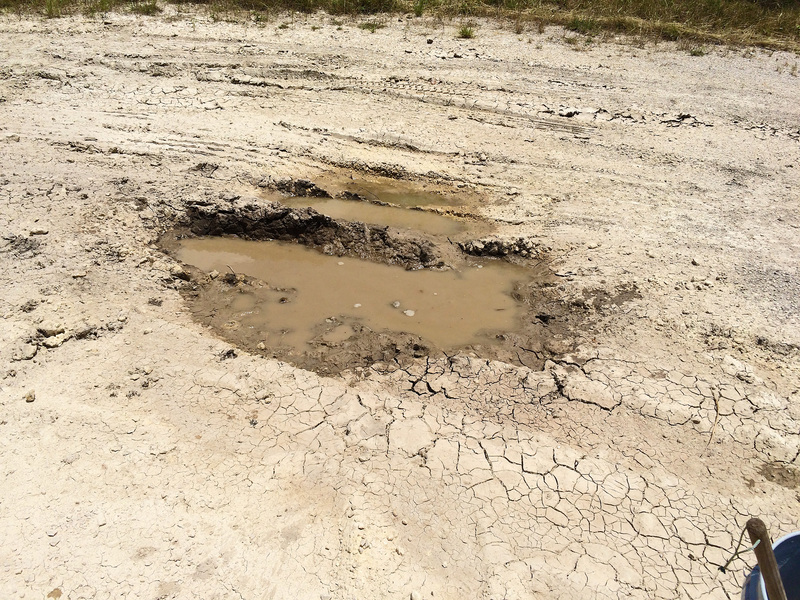 We have not had any rain for about a week now and with the high temperatures, the puddles are drying up. 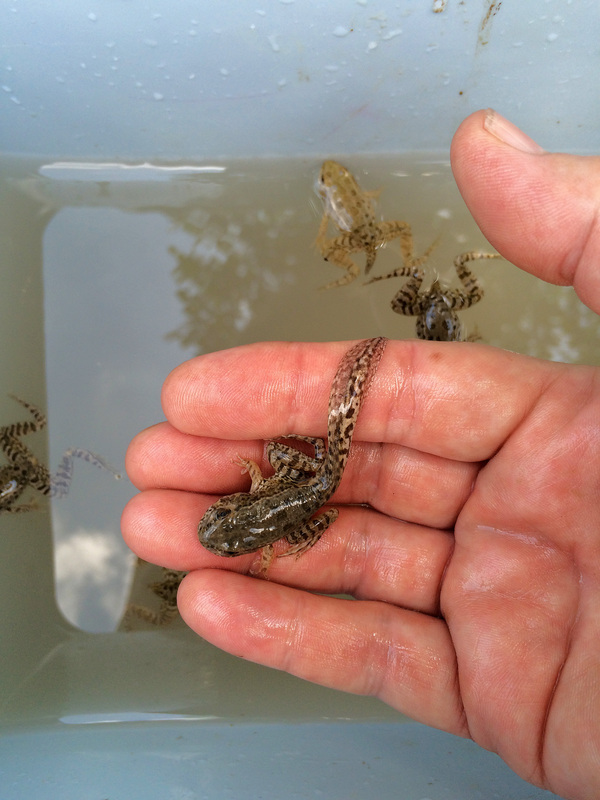 My husband mentioned that he noticed a lot of movement in the puddles and suspected frogs. Saturday we went for a walk and discovered that the puddle is getting very small. We could see small frogs jumping away into the grass along side of the road, but there were more frogs in various stages of development clinging to the sides of the puddle. 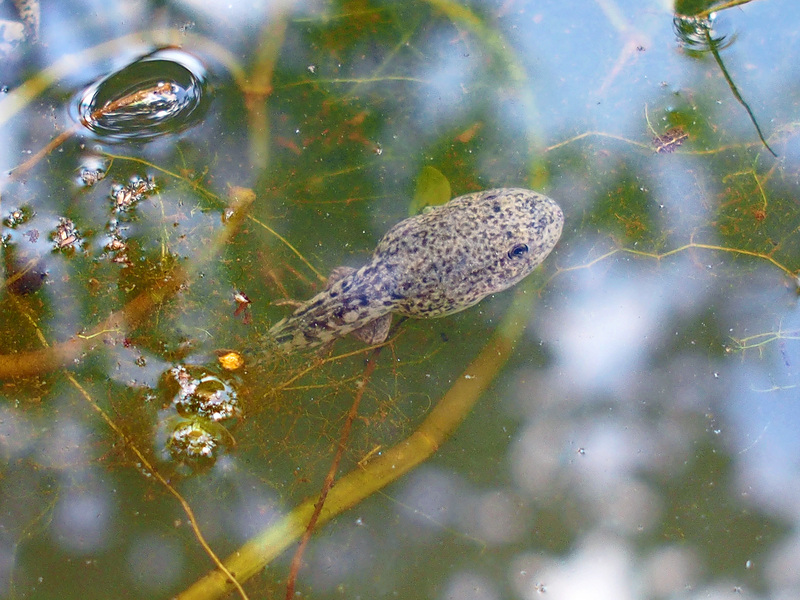 Some with nubs of tails, still others in the tadpole phase. Not much left of the mud puddle. 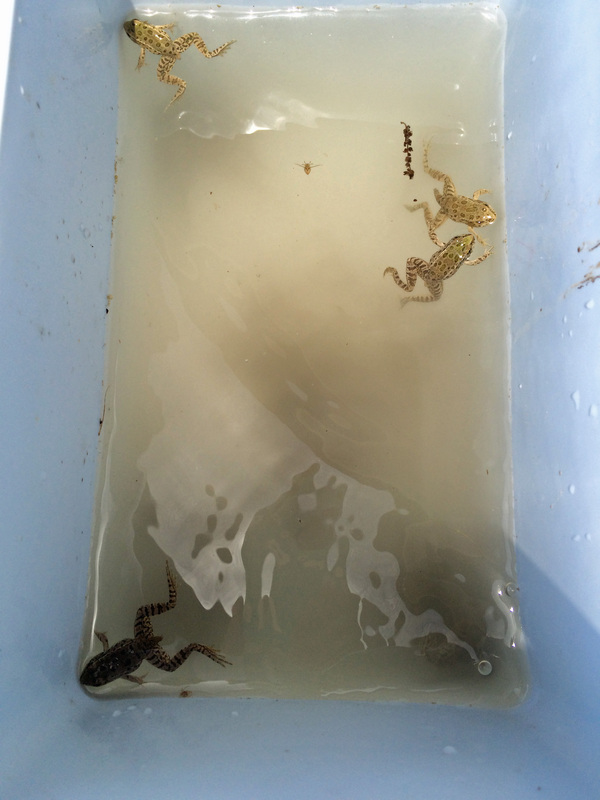 Frogs in the ice chest., ready for transport. 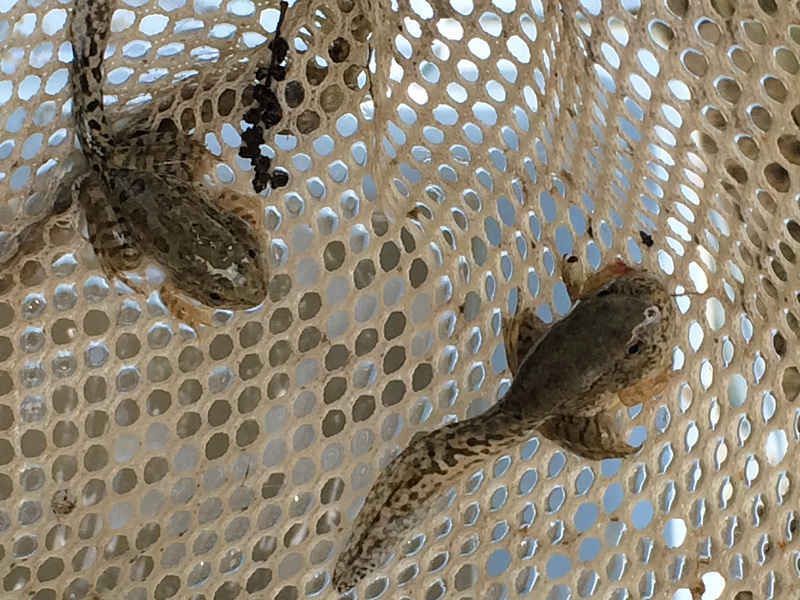 We have made it home and now I am moving them to two of the small ponds that I have in the yard. 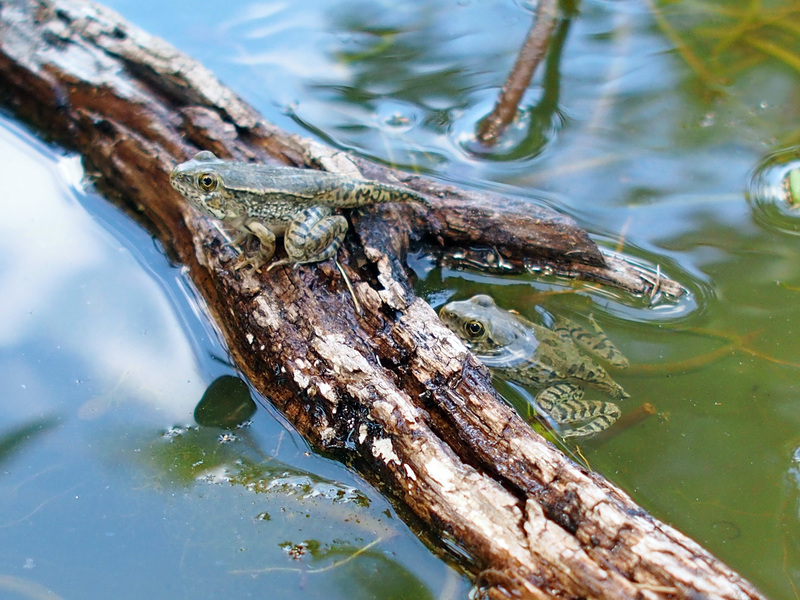 I placed dry wood in the pond for the frogs to climb on. They found it right away. 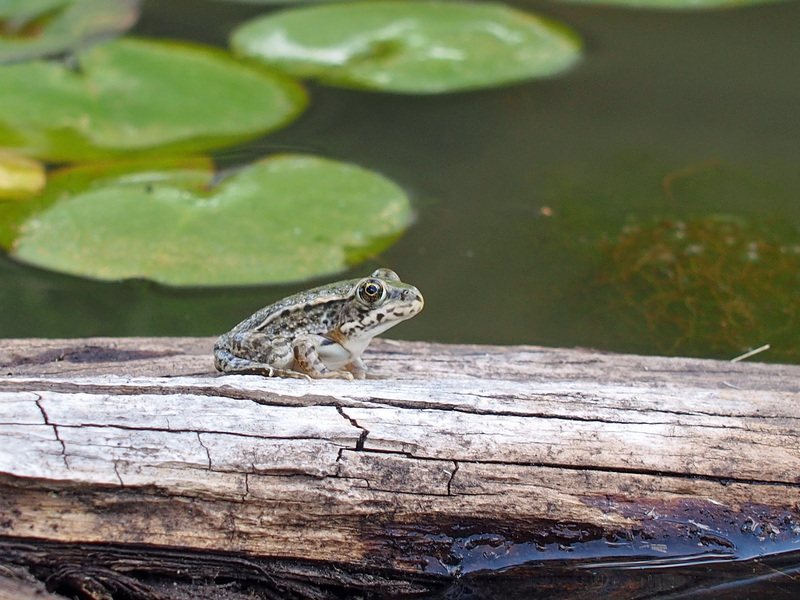 This little fellow did not like the small pond that I put him into at first. I transferred him to the larger tank and gave him his own log.